Make a sunny room fit on your baby to sleep soundly. 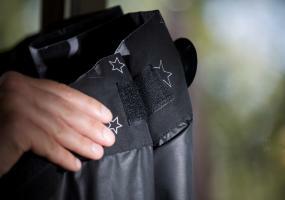 Velcro fastening is easy to make use of and quick to adjust. Gently press a corner suction cup on to window. For a tall window begin within the top right corner. For a wide window begin within the top left corner. Work around the window pressing cups on to glass. Adjust width the use of velcro patches. If a sucker is not going to attach, check glass is clean and moisten reasonably. Work down both sides and after all along the bottom. Once in a while, suction cups turn out to be deformed in transit which would possibly lead to them not sticking effectively to the window. Simply roll between fingers or place in warm water for 30 seconds to revive their normal shape. Do not grasp blind and pull. This risks serious damage to the window glass. Eliminate every suction cup separately. Use the small tab on every one or your finger nail to release. 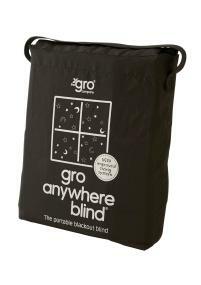 The blind can also be safely applied to normal single or double glazed windows in good condition. Don’t use on windows that have damaged edges, visible chips, cracks or every other glass or frame damage. Don’t use on laminated, textured/patterned or leaded glass or windows with internal wire strengthening. Comes with handy shuttle bag.